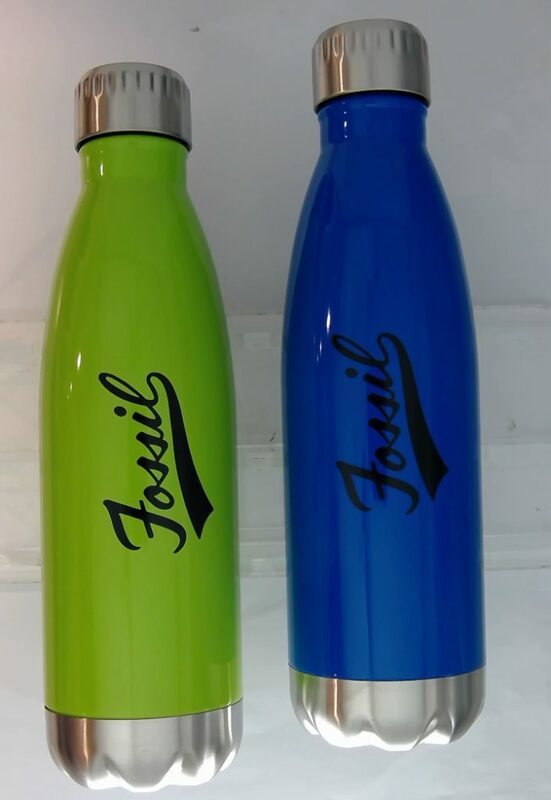 Fossil, An American watch and lifestyle company required Promotional Drink Bottles for their event. They chose Mirage Vacuum Bottles in multiple colours with their logo printed. Personalised Drink bottles make an ideal choice for a gift at events. Contact us for your next promotional event or corporate function. 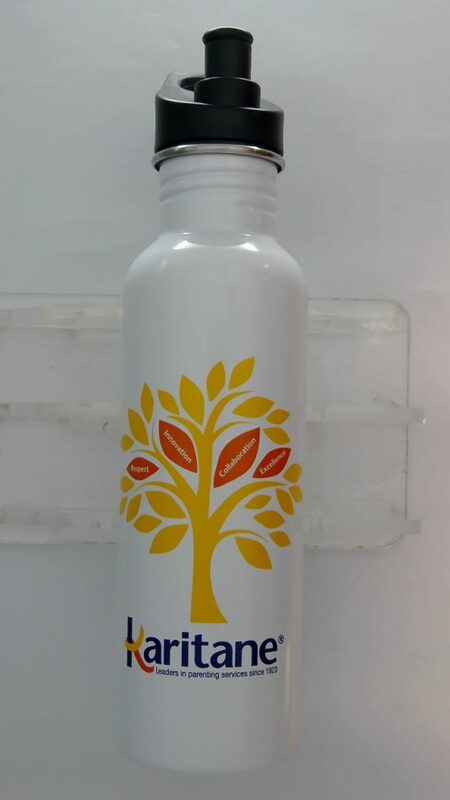 Karitane, A leading Sydney based provider of education and support for parenting services had a requirement for drink bottles with their logo printed on it. 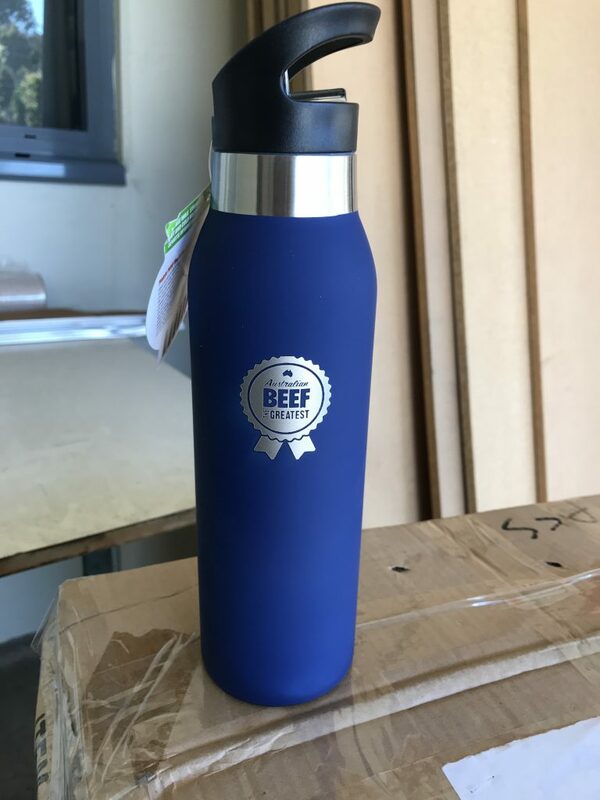 They chose Nomad Eco-Safe Stainless Steel Drink Bottles. Their logo on the white bottles looks very attractive. Promote your next event with Printed Drink Bottles. Call today to discuss your requirements. 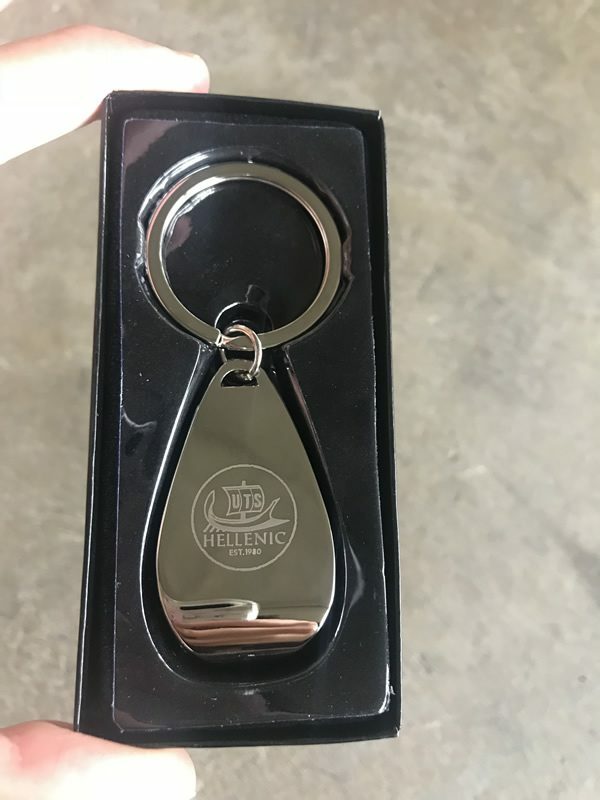 Bottles Opener Keyring with an engraving of the logo for Hellenic Society, a student club in the University of Technology Sydney. An image of the keyring with gift box is below. We have a wide range of Promotional Keyring that can be engraved with your logo or business information and are a great way to promote your business or event. Contact us with your requirements. 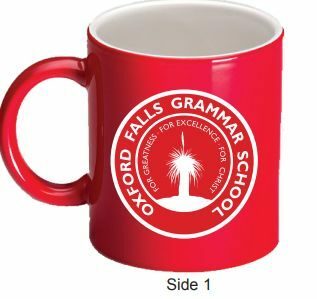 Oxford Falls Grammar School presented printed coffee mugs to the students and staff. Below is the image of a printed coffee mug with their logo. We supply printed coffee mugs to school for the end of year functions or MothersDay, Fathers Day. We can deliver the personalised mugs Australia wide. 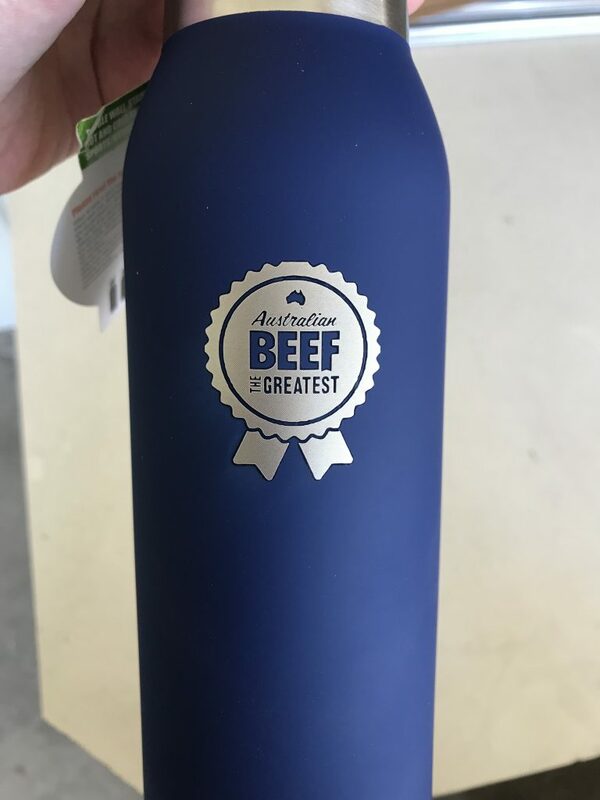 An Ad agency based in Sydney had a requirement for Drink Bottles with engraving for a promotion they were running for Australian Beef. 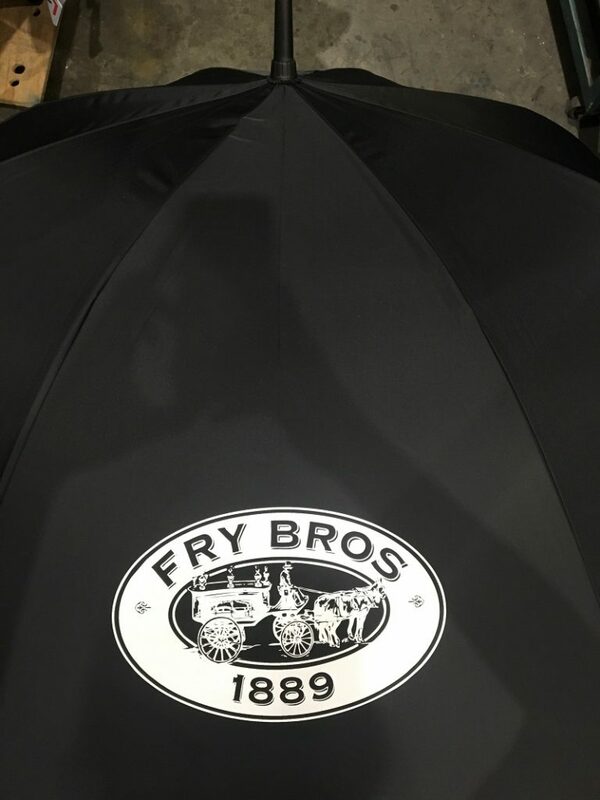 Fry Bros, a funeral planning service with branches in Newcastle and Maitland, servicing Hunter Valley, Maitland, Newcastle and Port Stephens needed promotional umbrellas with logo printed. 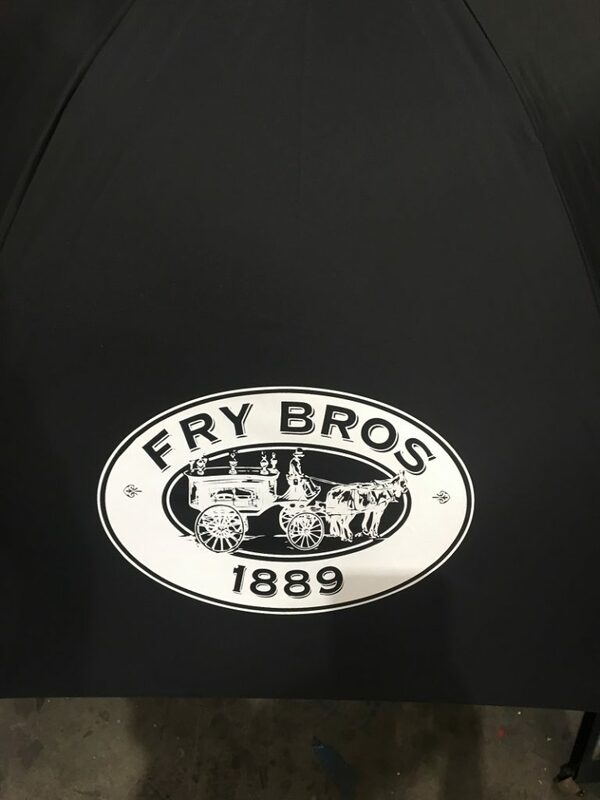 They opted for Shelta Strathhaven Golf Umbrella, Below are the images for the umbrellas with their logo on them. We can deliver Printed Promotional Shelta Umbrellas Australia wide. 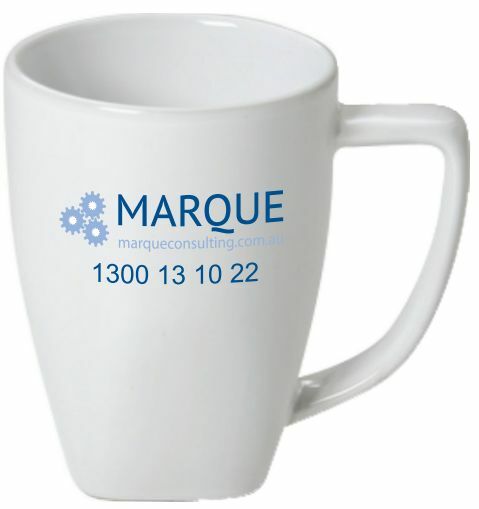 Printed Coffee Mugs for Marque Consulting based in Southbank, Victoria. Below if the image of the final product. Promotional Coffee mugs with logo are a great gift idea for staff or customers. Printed Coffee mugs are ideal for Wedding and Party Favours or return gifts. They are a good way to cherish the special moments. Contact us for return gift ideas or for Corporate party gifts. 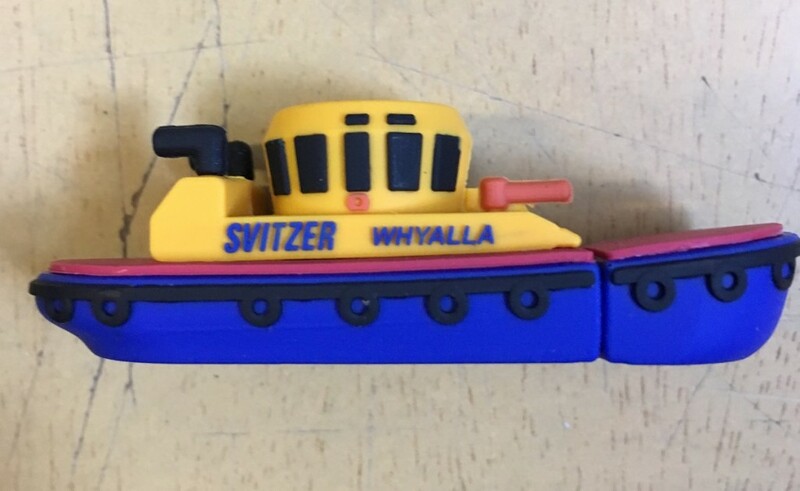 Svitzer – Whyalla were launching their new tug berth facility in Whyalla and had a requirement of promotional product to celebrate the event. 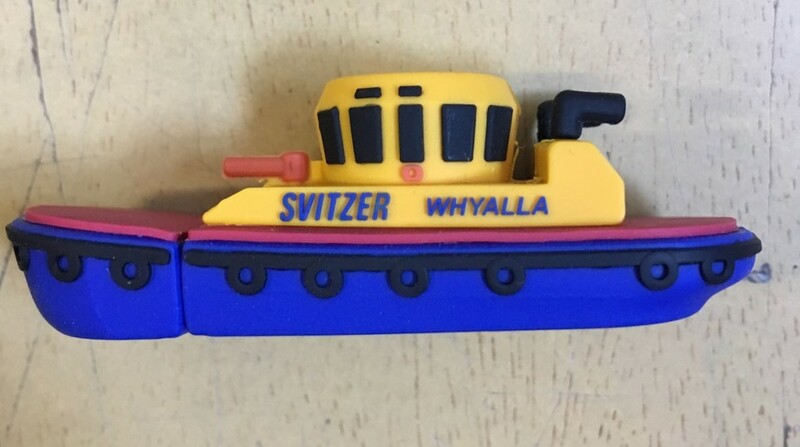 They opted for a custom shaped USB drive with their logo and location embossed on two sides. Below are the artwork and the specification of the USB drive. Contact us for any promotional items with logos for special occasions. Below is the design created by a client, They wanted the artwork printed on the coffee mugs as wedding favours.